We recently caught up with Shaklee Senior Director, Susan Knott and chatted with her about her experience with YOUTH Skincare. 1. Describe your experience with YOUTH skin care products, especially with YOUTH Restoring Eye Treatment. Summer has always been my favorite season! Growing up as the youngest of nine kids, I vividly remember Mom and Dad packing everybody into the station wagon and spending entire days playing at our country club’s pool. Unfortunately, all that time in the sun took a toll on my skin over the years. I’ve been using the YOUTH skin care line for almost a year now. Not only did I notice results within weeks of starting the products, but my skin is continuing to improve! I truly feel like I am aging in reverse. 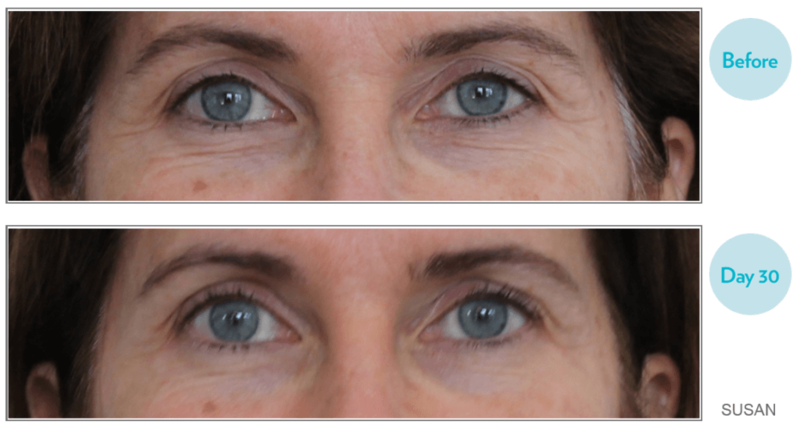 The addition of the Restoring Eye Treatment has knocked this skin care regimen out of the park! I can’t believe the difference I’ve experienced after just 30 days. The wrinkles under my eyes are less visible, and the skin around my eyes feels and looks firmer. 2. In your opinion, what sets YOUTH apart from other skin care brands? Would you recommend YOUTH to your friends and family? The skin care market is so crowded that it can be overwhelming to know if any product line is really better than another. I can honestly say that YOUTH exceeds any other skin care brand I’ve ever tried! You actually do start seeing the results you’re promised very quickly. When you combine those quick improvements with the fact that YOUTH is free from 2,500 of the most common questionable chemicals found in skin care, the decision to switch to YOUTH is really a no-brainer! I recommend this skin care line to all my family and friends! 3. Can you share with us some of your top skincare tips? Cleanse, tone, and moisturize morning and night. 4. Share a few of the compliments you have received after using YOUTH and the new Restoring Eye Treatment. “You two look like you are sisters” (while standing next to my daughter). Special thanks to Susan Knott, Shaklee Senior Director who was introduced to Shaklee cleaning and nutritional products when her four children were growing up. She lives in Tennessee, where she enjoys reading a good book by the pool and playing with her 3-year-old grandson and 7-month-old granddaughter!